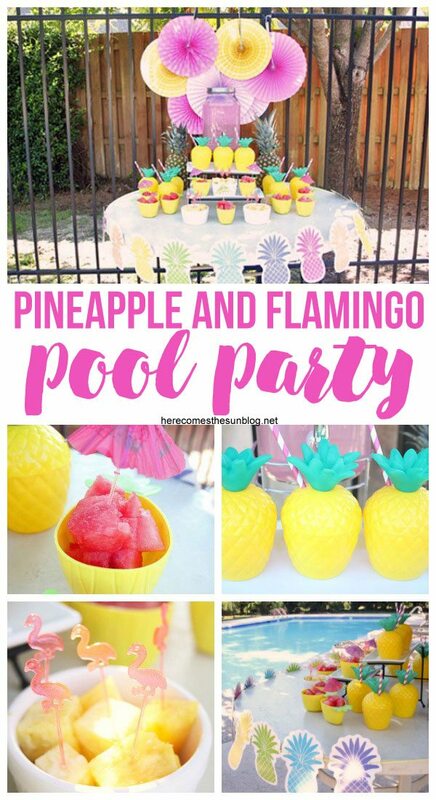 Thank you to Oriental Trading for sponsoring this pineapple and flamingo pool party post. All opinions are 100% my own. Summer may be winding down but that doesn’t mean that the parties need to stop. 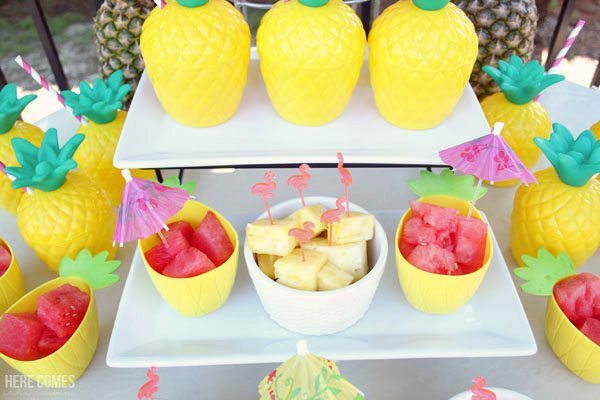 Get in one more bash with this Pineapple and Flamingo Pool Party. I’ve been wanting to put together a pool party forever and since this is the last summer that we will be in our current neighborhood with a pool, this was the perfect time. 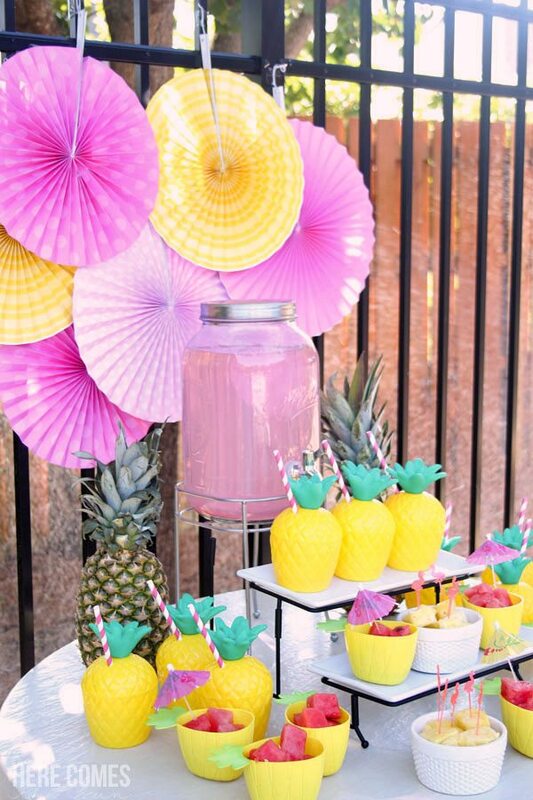 Flamingos, pineapples and summer fun all go together so this party is chock full of fun flamingo and pineapple decor. 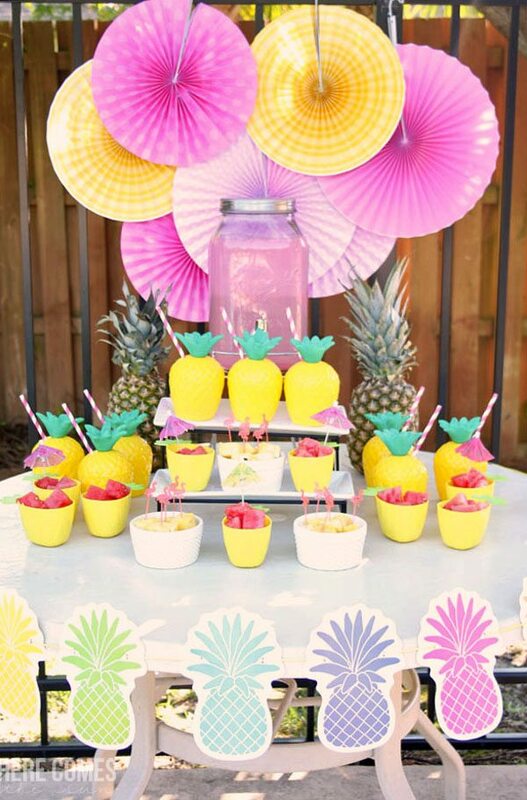 I put up a simple backdrop using paper fans and decorated the table with a pineapple banner. I decided to go light on the food and used fresh fruit because the last thing anyone wants to do on a hot summer day is stuff themselves with heavy food. 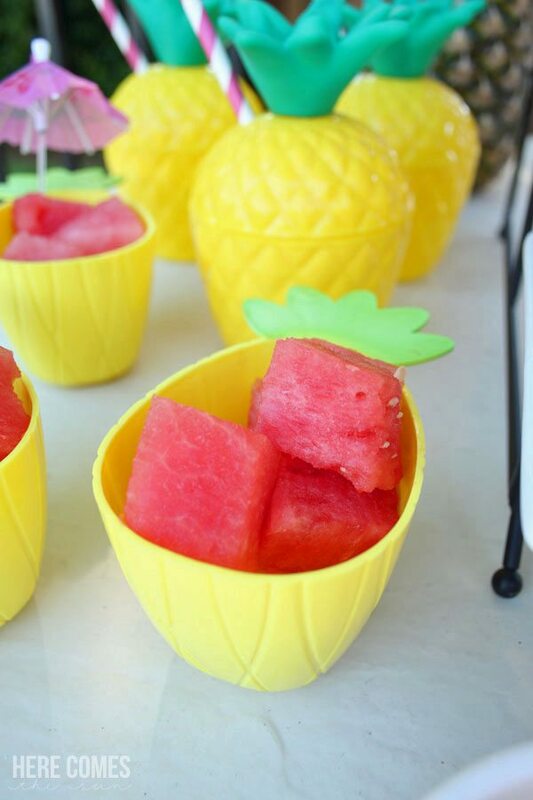 I cubed some watermelon and placed it in these adorable pineapple dishes. I added little umbrellas too. 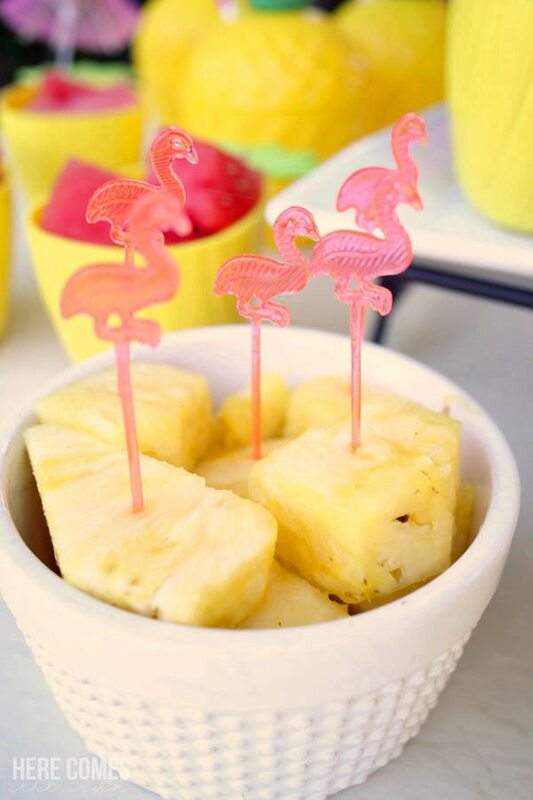 I used a few pineapples as decor and the rest of the pineapple went into small white dishes with some flamingo picks. 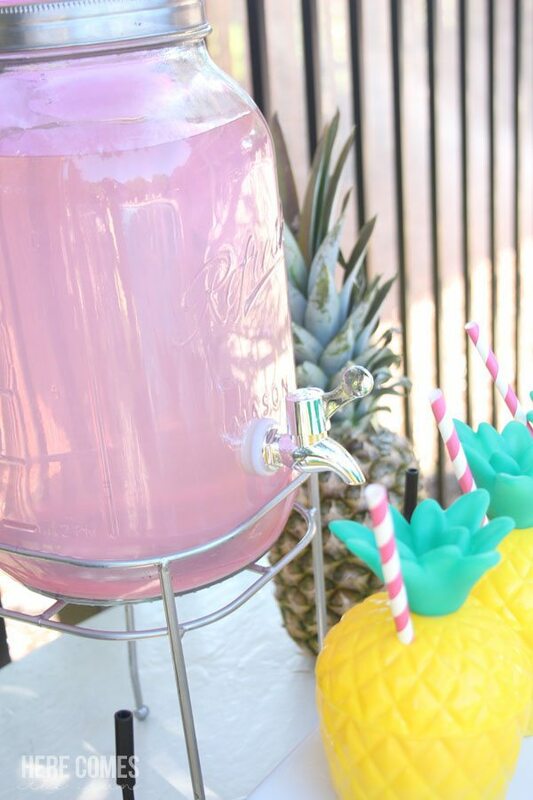 To drink, I kept it simple with a beverage dispenser full of pink lemonade. This is perfect for guests because it is all self serve. 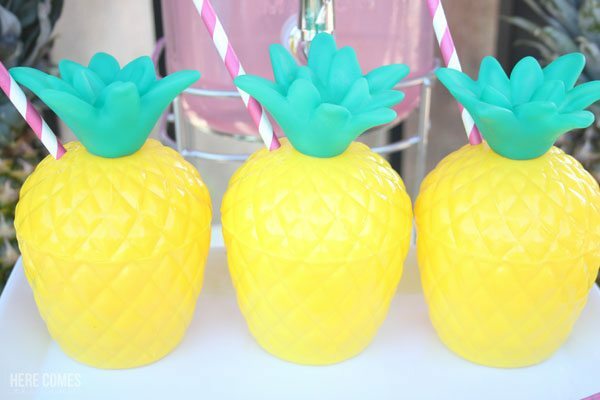 Fill up one of these pineapple cups, sit back and enjoy yourself poolside. 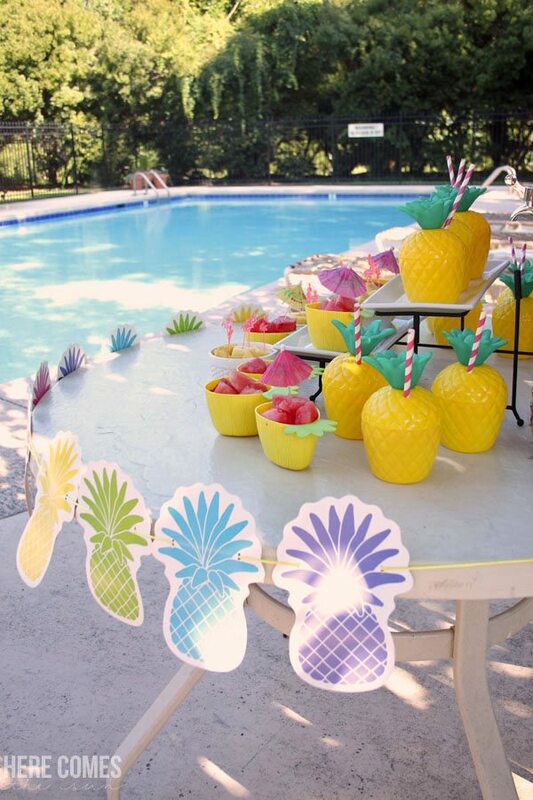 Party decorations don’t have to be complicated to be amazing. 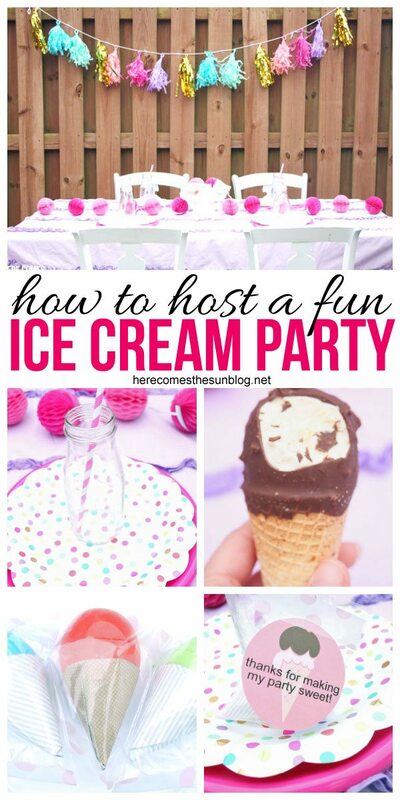 A few supplies from Oriental Trading Company and you can pull a party together quickly. 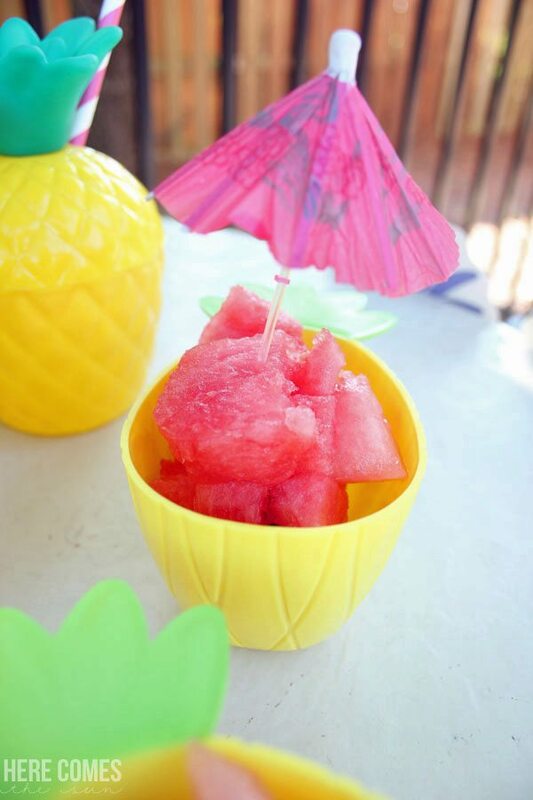 Don’t let summer end without enjoying one last bash!